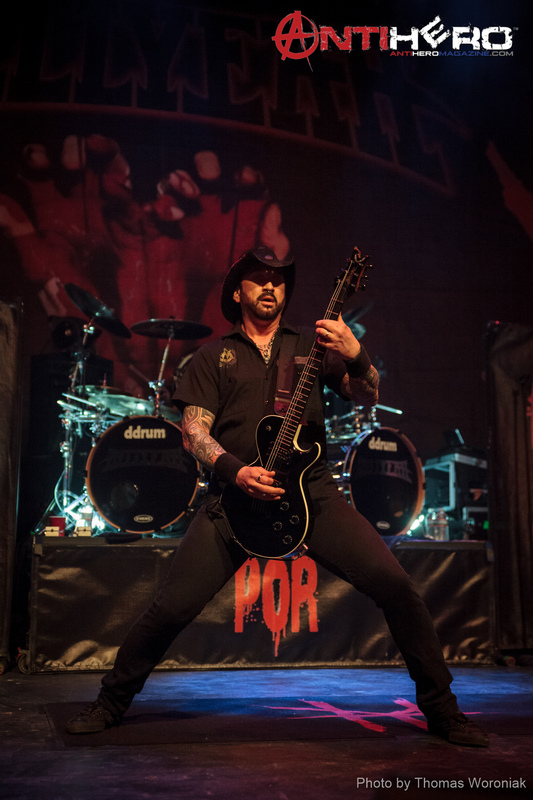 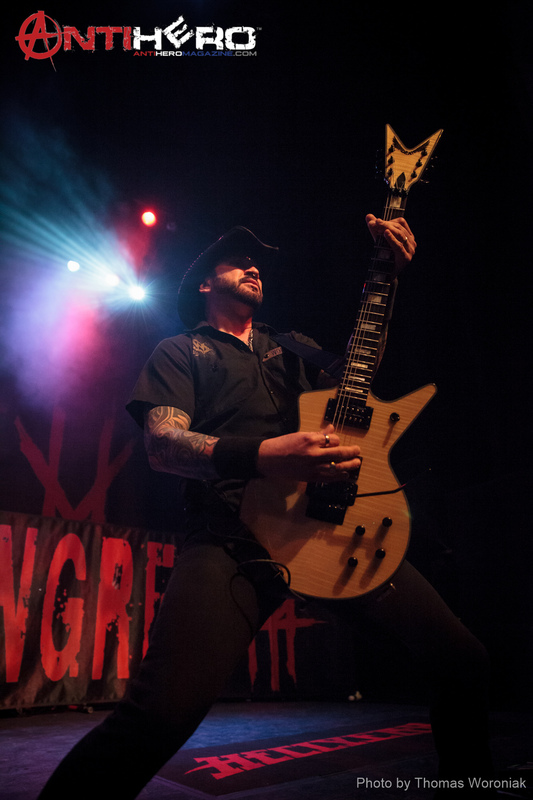 Blood for Blood, Sangre por Sangre…Hellyeah tore it up at the Arvest Bank Theater at the Midland in Kansas City, MO on Tuesday, February 17, 2015 with guests Devour The Day and New Zealand’s Like A Storm. 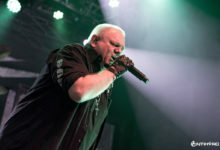 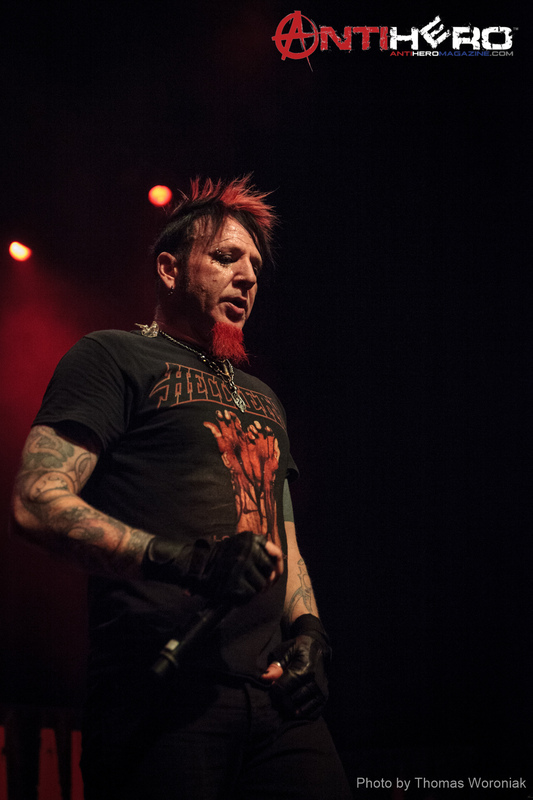 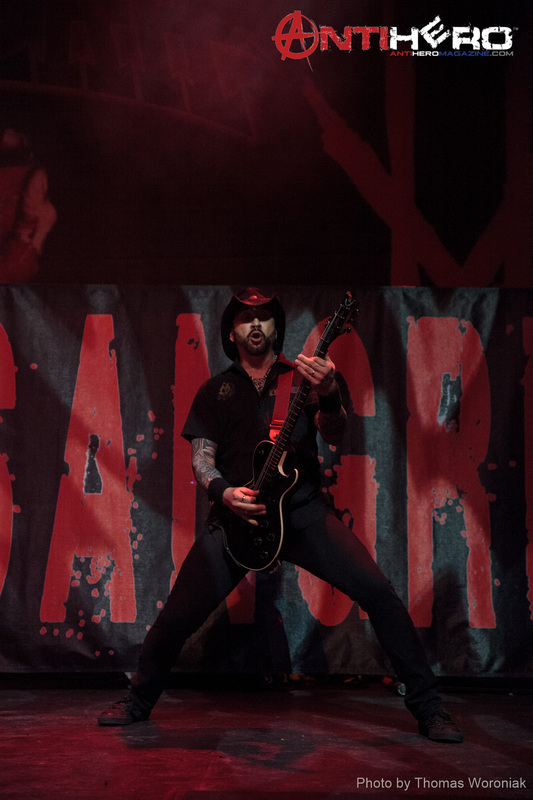 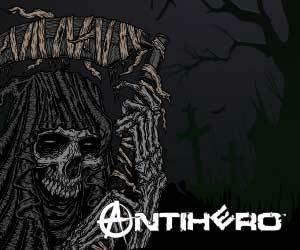 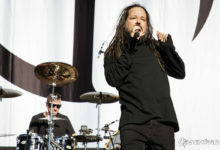 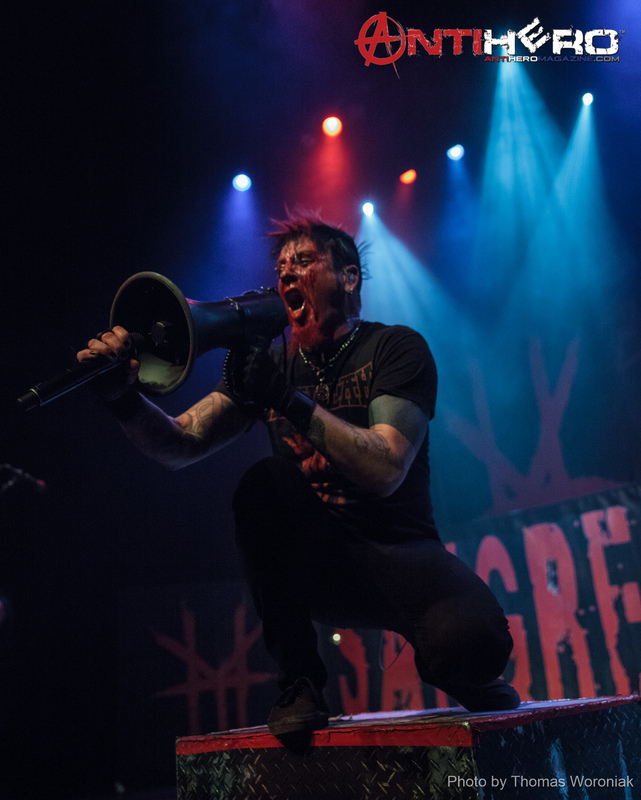 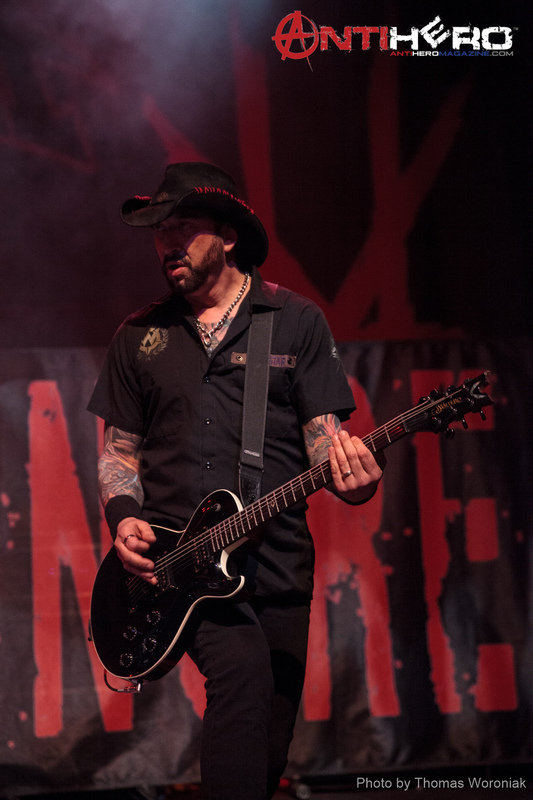 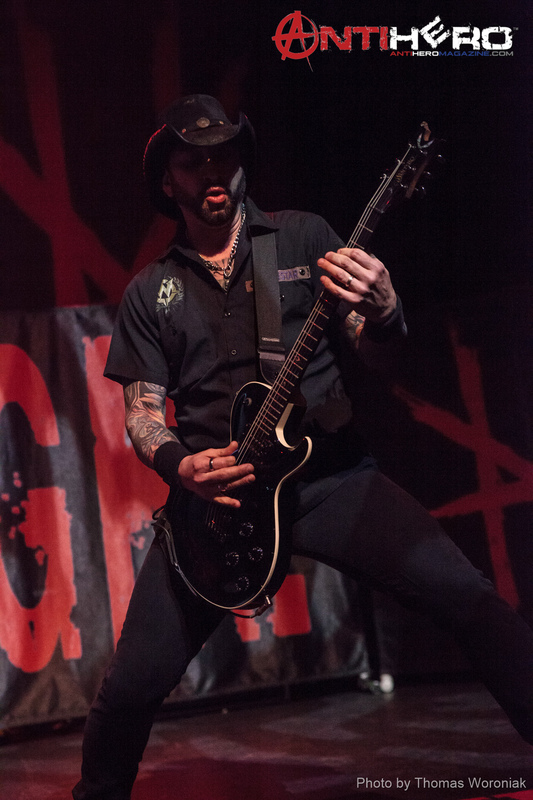 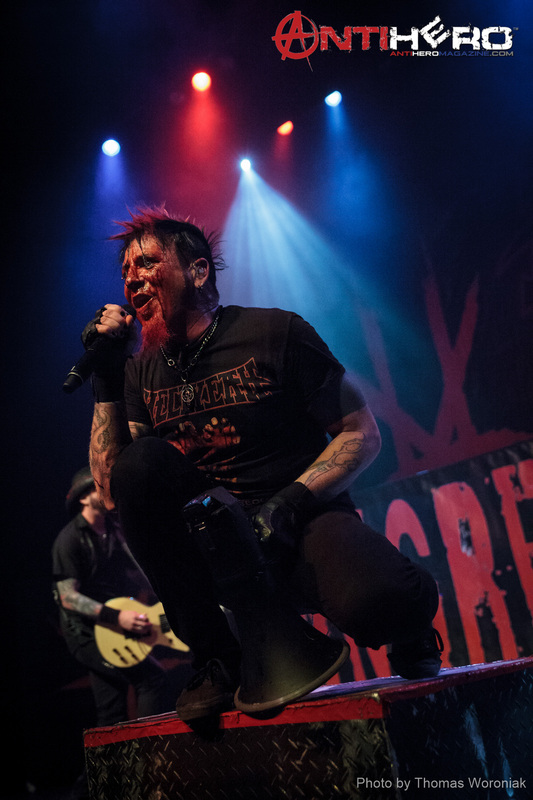 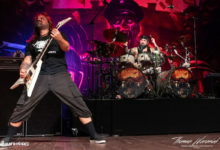 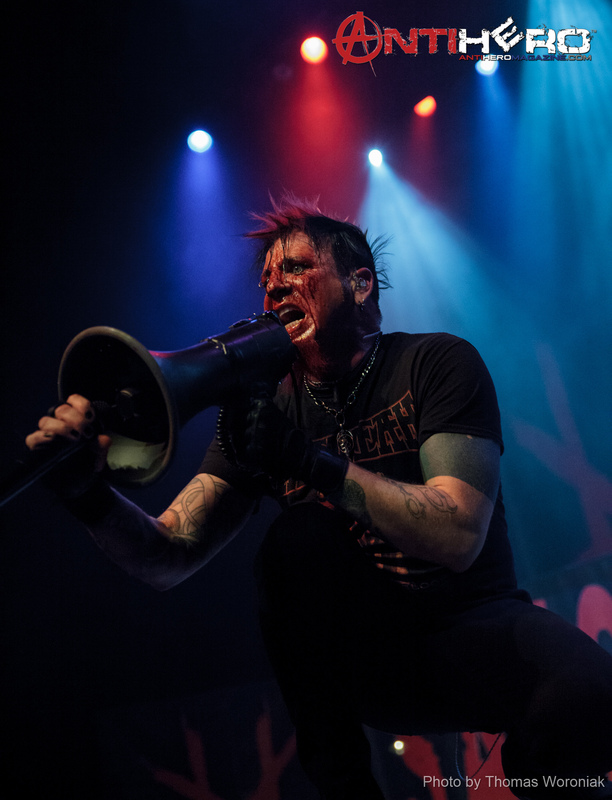 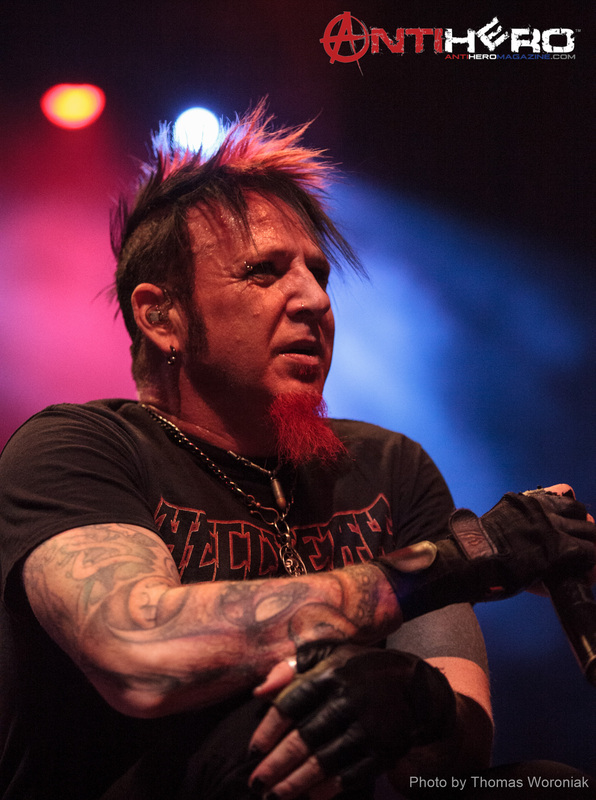 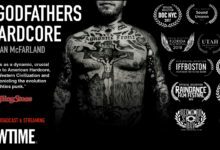 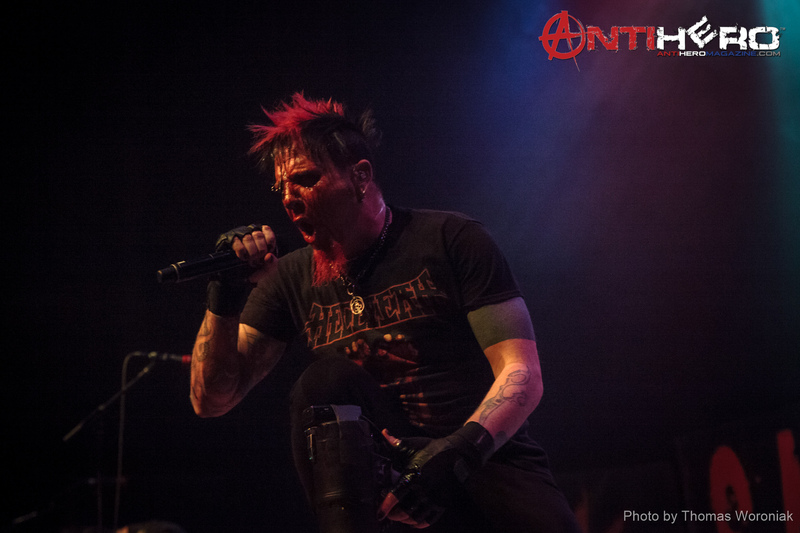 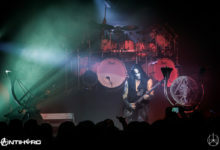 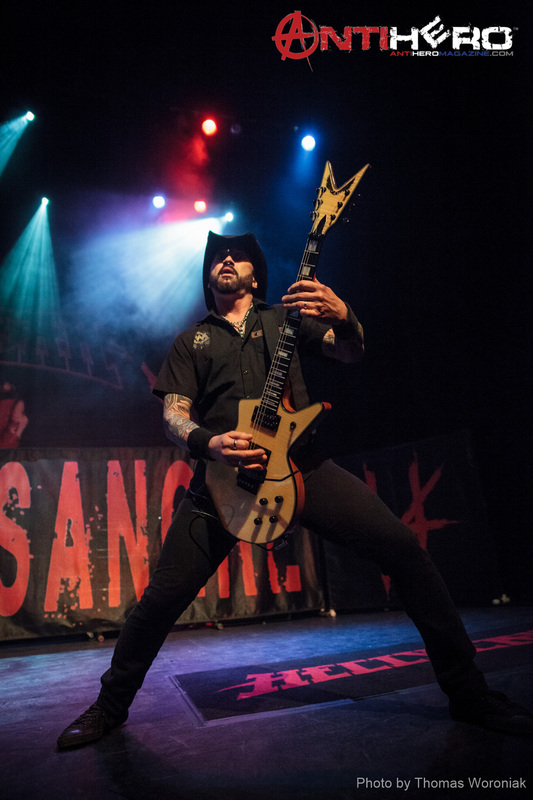 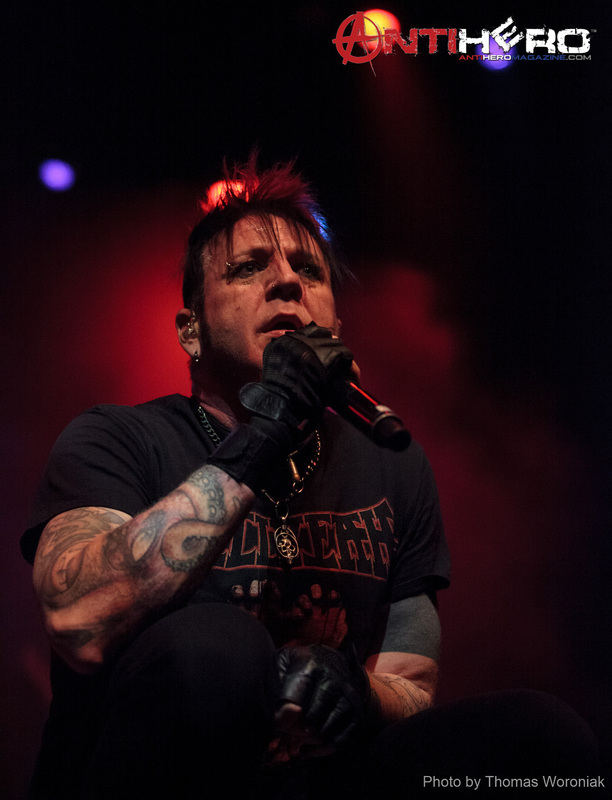 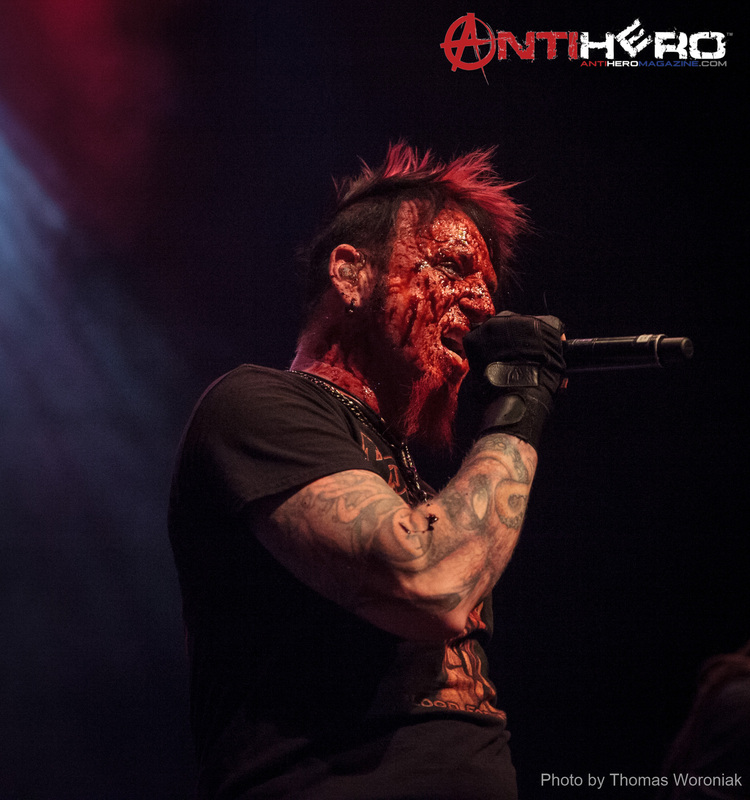 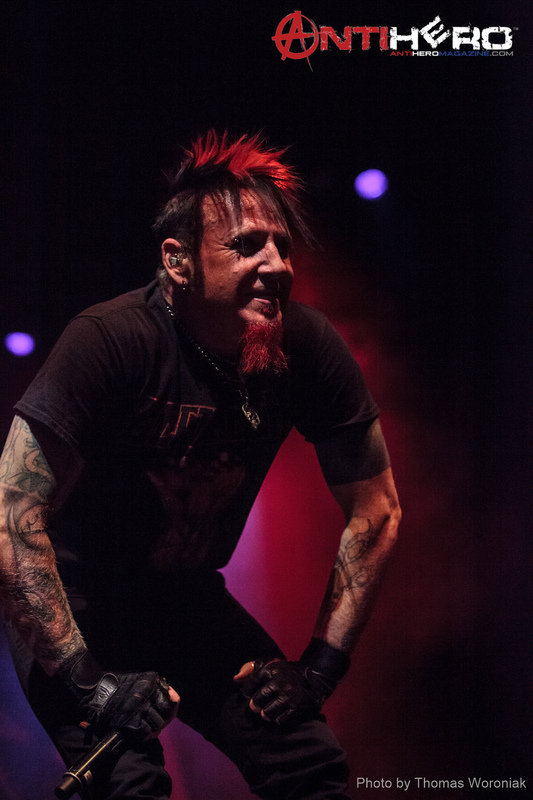 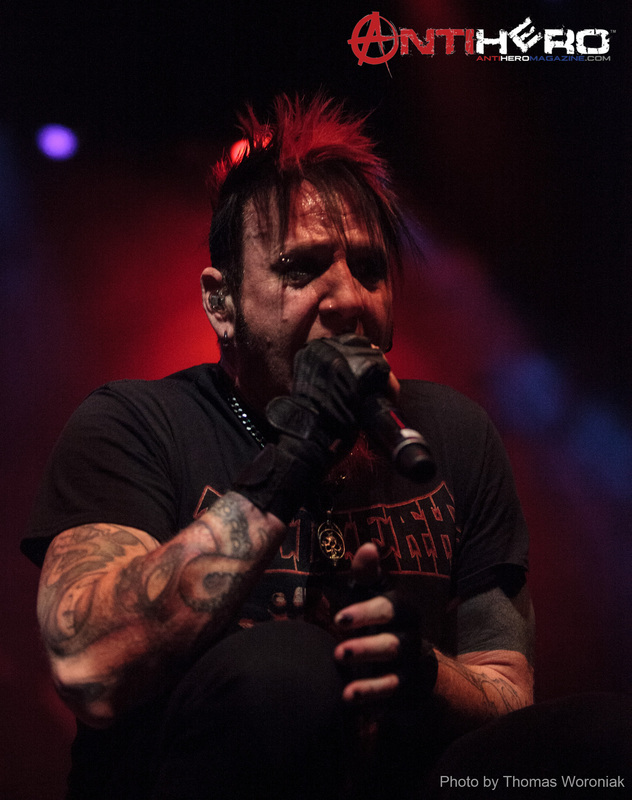 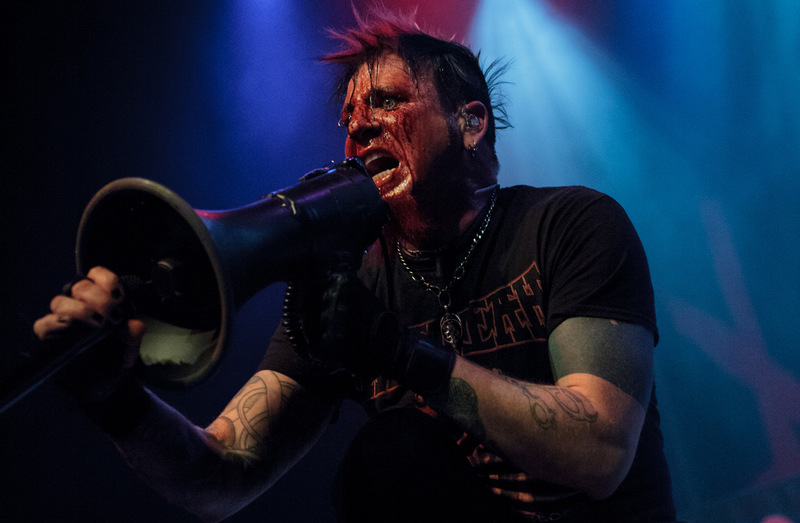 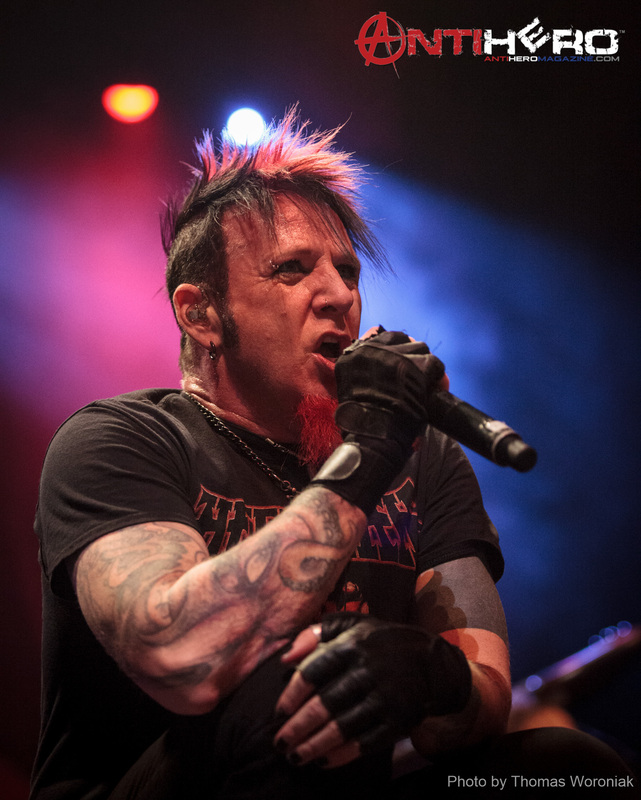 A blood-spattered Chad Gray, along with drummer Vinnie Paul, guitarists Tom Maxwell and Christian Brady, and bassist Kyle Sanders, delivered an energized set to a relatively smaller-than-usual crowd at the beautiful Kansas City venue. 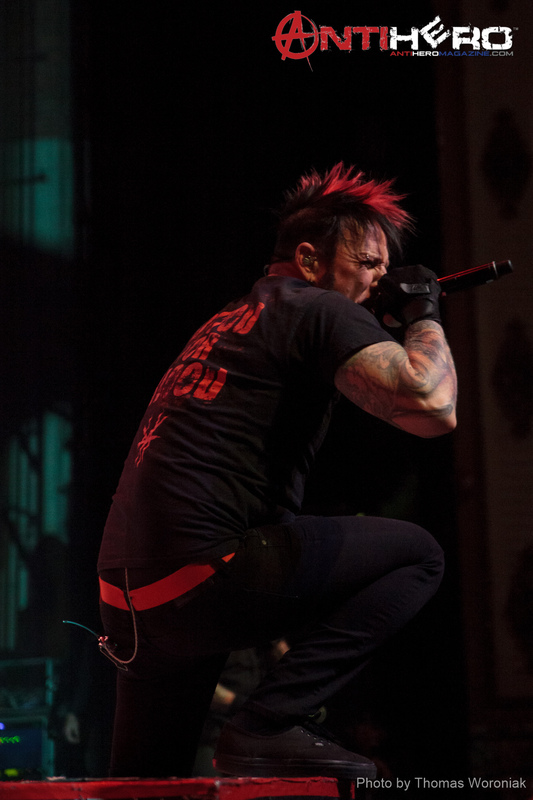 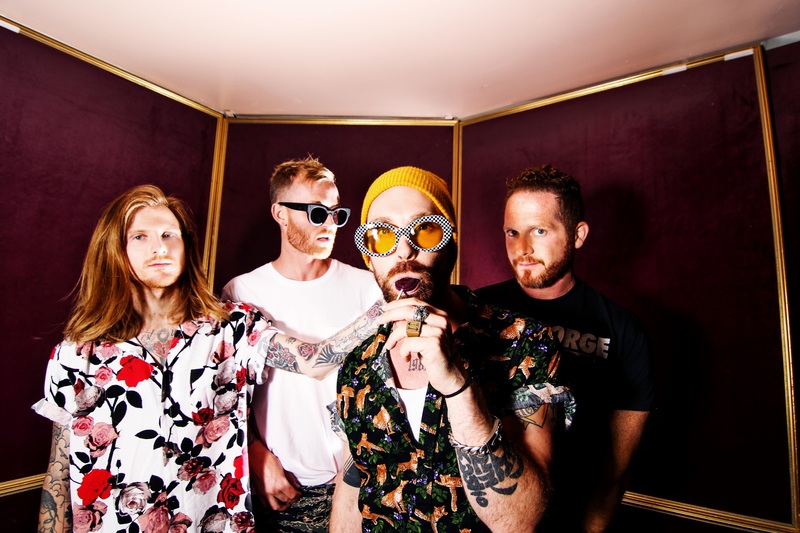 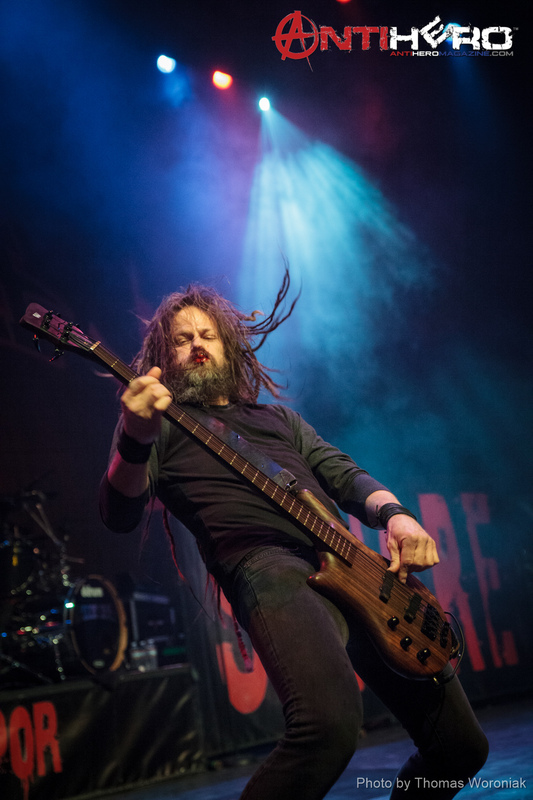 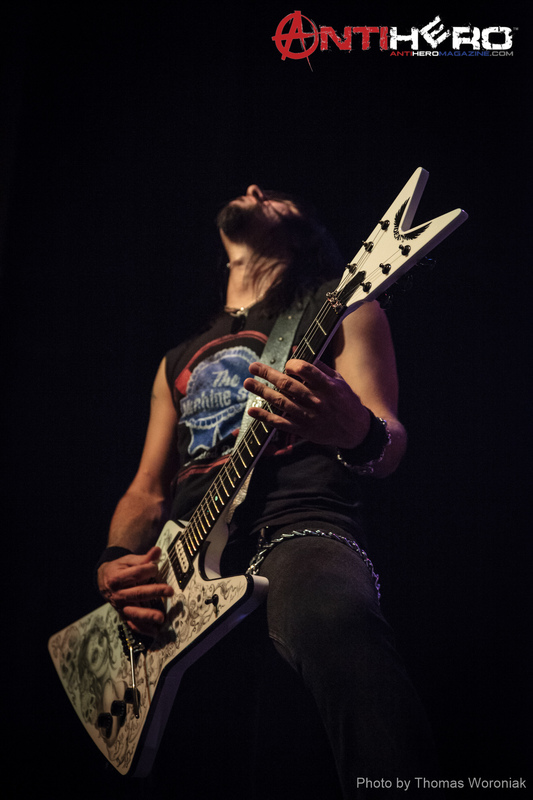 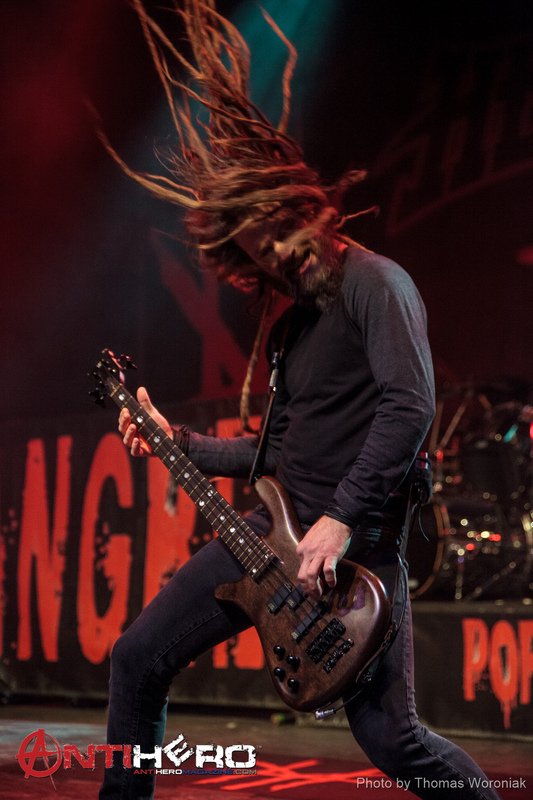 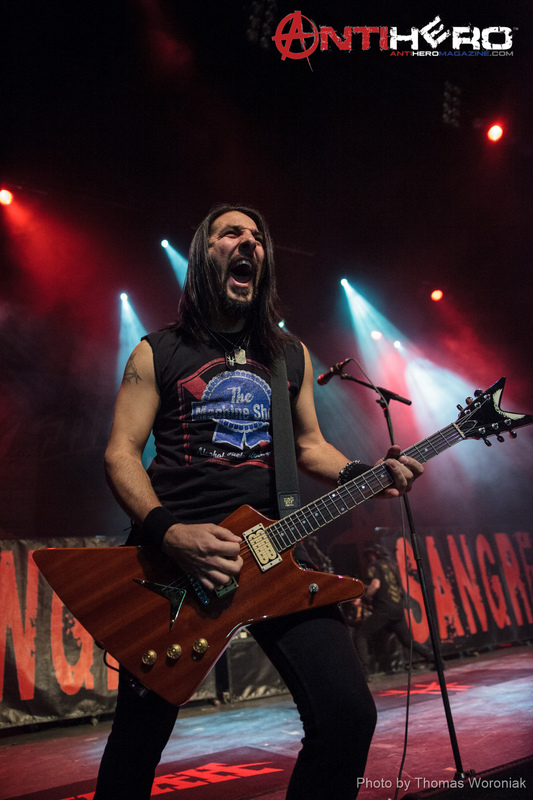 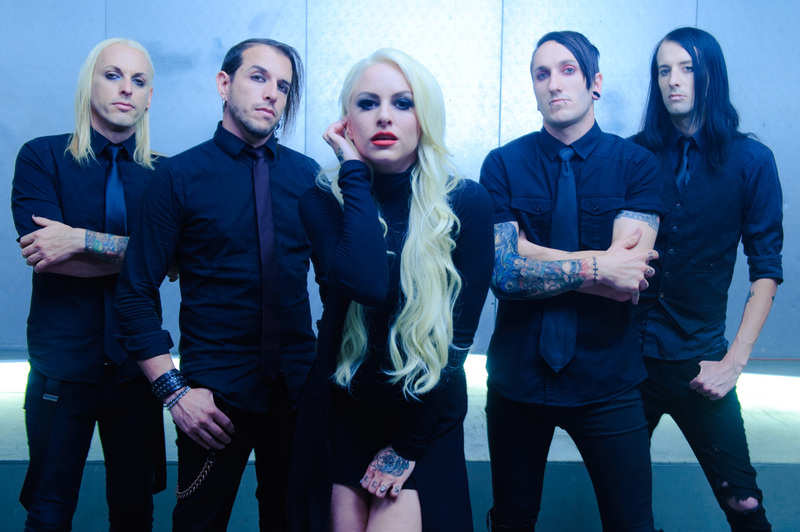 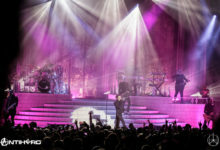 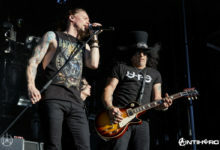 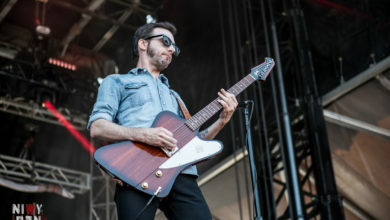 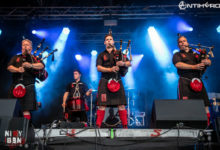 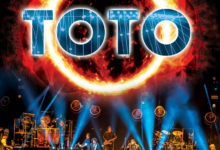 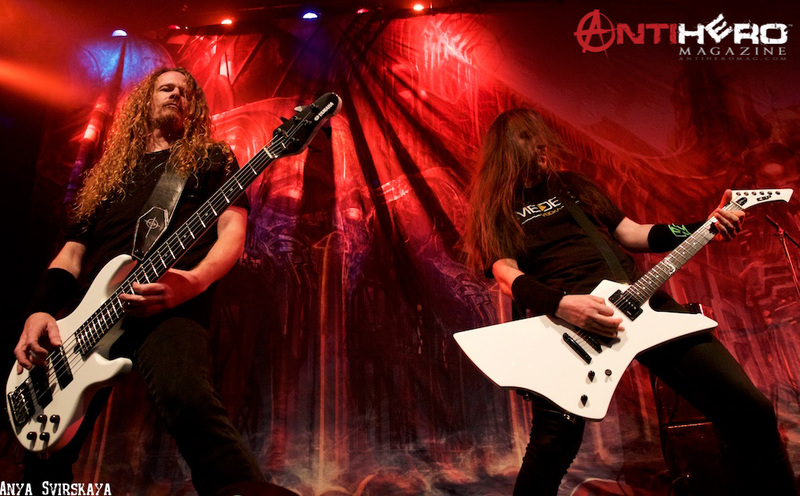 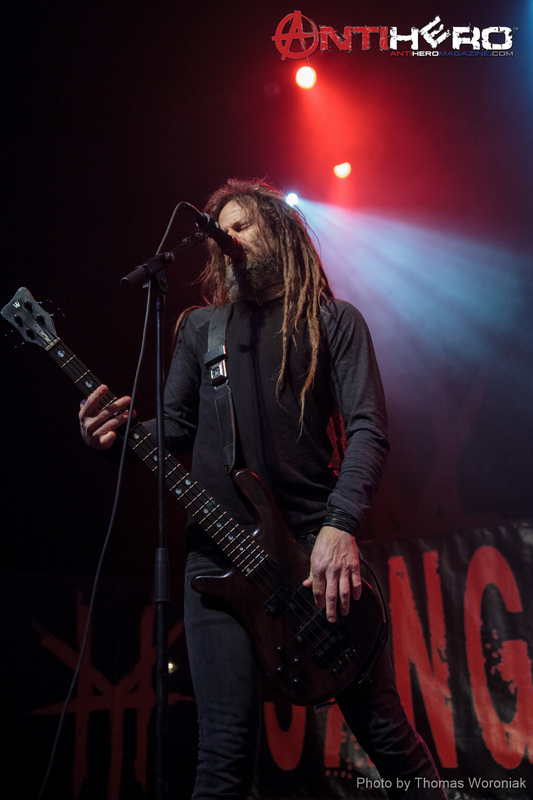 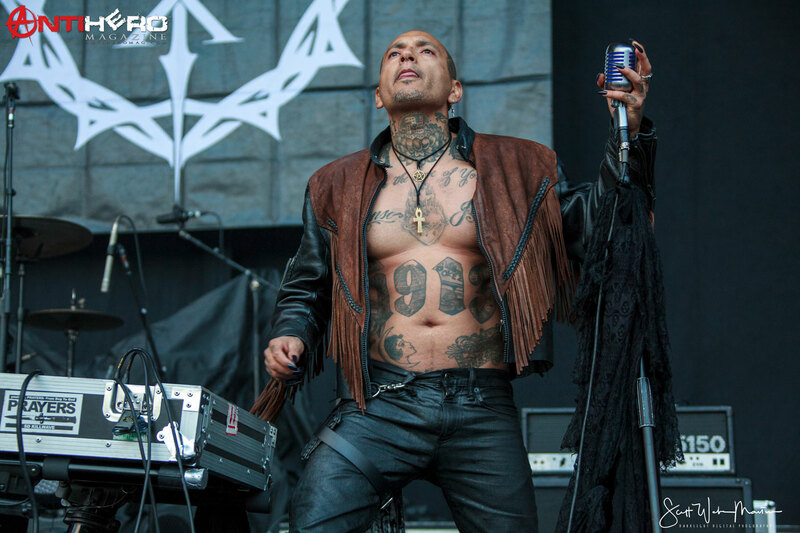 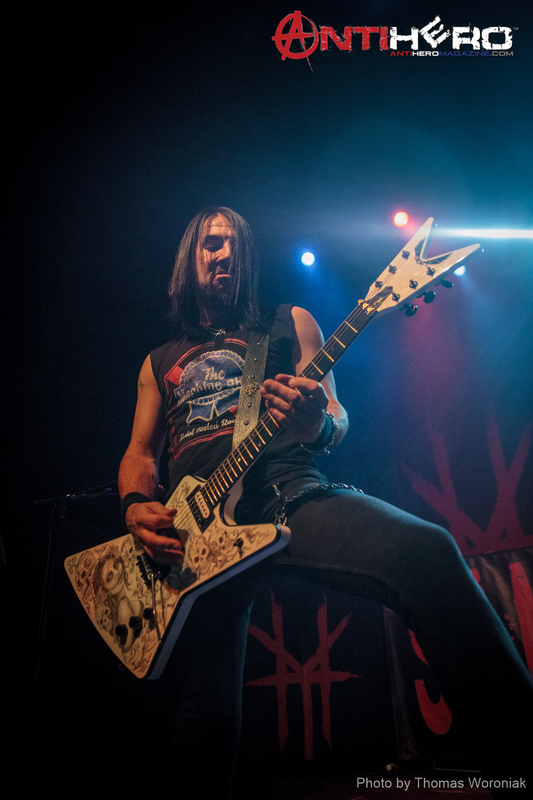 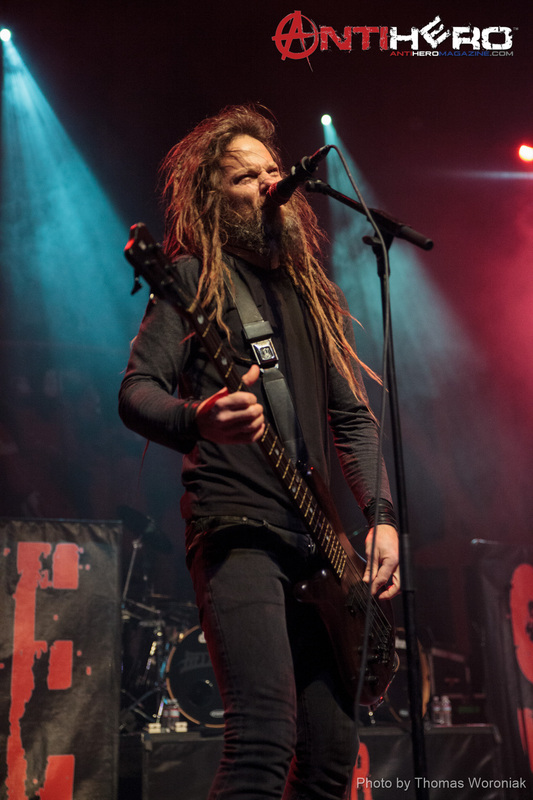 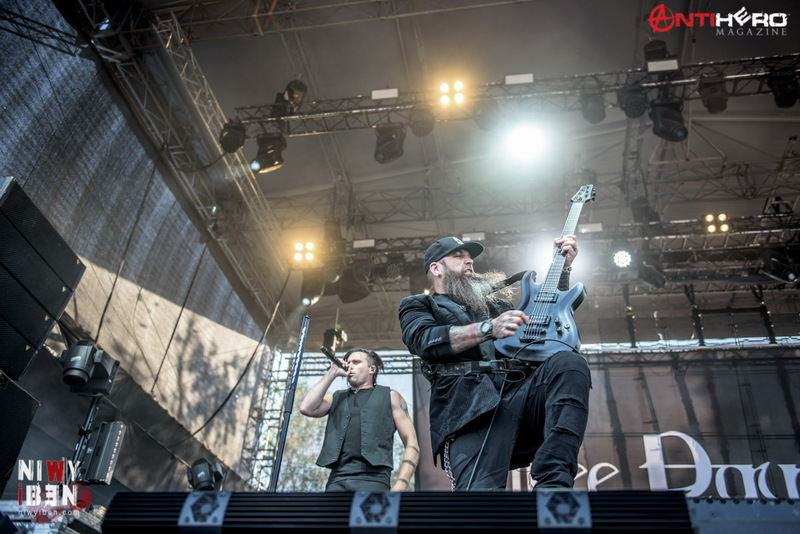 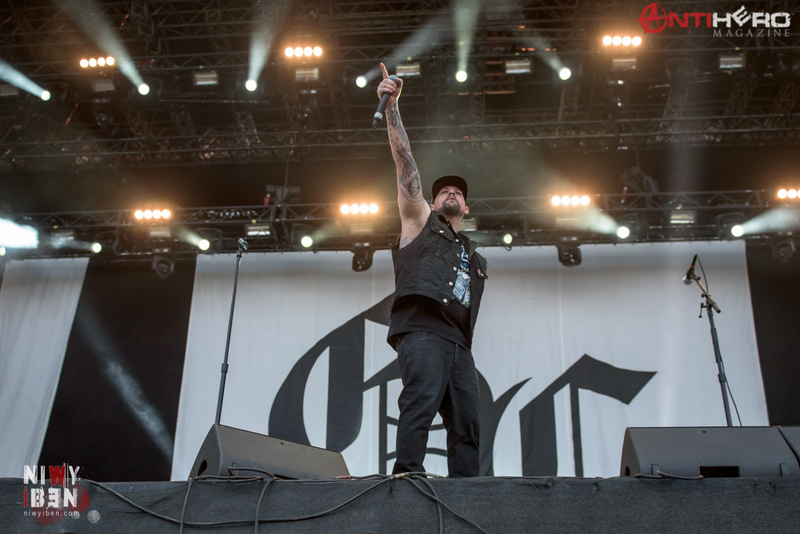 Photographer Thomas Woroniak sniped a few shots from the pit…check them out below!